Lisscat Creations: Pick Me! Read Me! Ok, can anyone tell me where this year has gone? Its mid November and a blog post is well overdue! 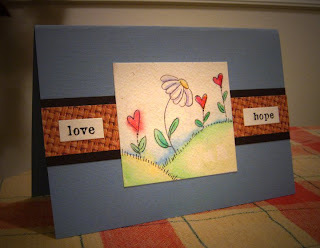 Let me first tell you about my newest Lisscat Creation... the "Pick Me" hand painted card (pictured above). Did you know, roughly, there are 147 million orphans world wide. Thats a lot of sweet kiddos out there with out families to call their own. I go through days where I think I have it rough, then I think about these kids out there. It kinda breaks my heart, and i truly respect the lovely people out there who care for, feed, and shelter these orphans. That is why we are donating to the organization, 147 Million Orphans. This was started by two very passionate women, who between them have 13 kids, including both national and international adoptions. They are amazing women, and have done so much work to help feed and find homes for orphans worldwide! check out 147 Million Orphans here! So as you go into this weekend and Thanksgiving week, stay encouraged. Live in the moment, and remember God gave you your gift for a reason, so dont be afraid to use it! Also don't forget to get your hand painted "Pick Me" cards now. $5 of every card sold will be donated to 147 Million Orphans. Click here to get your card now! I fool read a only one of the articles on your website at this very moment, and I really like your style of blogging. I added it to my favorites entanglement age list and will be checking back soon. Divert contain in view my position as approvingly and vindicate me know what you think. Thanks.